I just watched the teaser trailer for the upcoming Star Wars anthology film, titled Rogue One: A Star Wars Story and I must say it looks pretty good. If you haven’t seen it yet, you can check it out below. 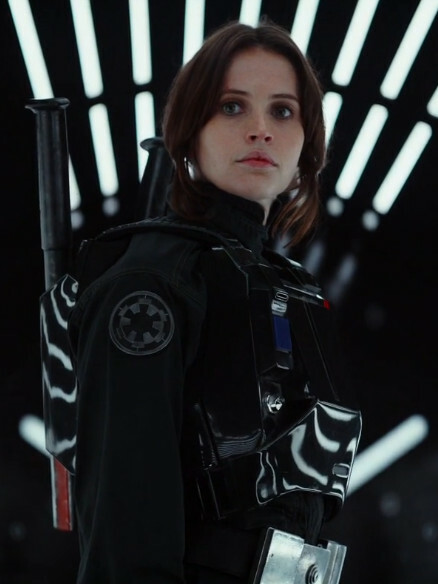 The final shot of the trailer shows Felicity Jones’ character Jyn Erso (I had to look up the name) wearing an Imperial uniform. She looks really cool, don’t you think? At first, I thought Jyn was wearing a TIE fighter pilot’s outfit, but it’s something else, isn’t it? Well, we’ll have to wait until December to see exactly what kind of outfit it is, I guess. This entry was posted in Films, Trailers and tagged Felicity Jones, Jyn Erso, Rogue One, Star Wars by maruserino. Bookmark the permalink.